We all know Jimi Hendrix, the ultimate guitar hero. But what about Jimi Hendrix: Rock Band? Well, get ready, because a game version of that most iconic of six-string stars is on the way. While speaking to the LA Times, Janie Hendrix, Jimi's stepsister, who controls the late guitarist's estate, slipped the news that a Rock Band Hendrix edition will be out by the end of 2010. According to Times piece, the estate's recent licensing deal with Sony calls for the company "to make his music 'available through every type of media'" - which would include a new edition of Rock Band that Janie Hendrix says, "should appear before the end of this year." MusicRadar contacted Janie Hendrix, who confirmed that she is working with MTV Games and Harmonix on a Rock Band game. And she even hinted at some of the music fans can expect. "A Jimi Hendrix Rock Band is definitely is in the works," she said. "A lot of the plans are secretive, but what I can tell you is that it will feature some songs from the Axis: Bold As Love record in their entirety. It's what the game developers have asked for." 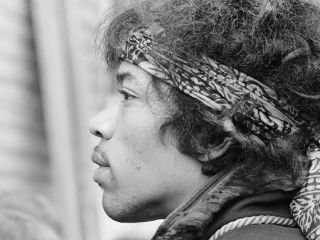 As to whether Jimi Hendrix Experience members Noel Redding and Mitch Mitchell would be portrayed in the game, Janie said she "couldn't comment at this point." OK, but what kind of guitar will Jimi be playing in Rock Band, and what sort of game controller will fans be using in their attempts to nail Jimi's famous licks? Janie laughed and said, "We're good friends with Fender, so we'll be keeping it authentically accurate."